Following a concept demo at the Westhollow Technology Centre in Houston, Shell asked Shadow to create a touring VR exhibit for the Oculus Rift. Working in Unity, with the Oculus Rift DK 2 the team at Shadow created a 7-minute Interactive piece to demonstrate Shell’s unique PurePlus Technology, and the key benefits of the Helix Ultra. Users are placed in a virtual lab and undertake a series of Hologrammatic experiments using both the Rift and a Leap motion sensor to react to their gestures. Shadow’s in-house team designed, and created animation, sound, and all application coding for the project. An integral part of the deployment process was the construction of chair system that could house the custom computer hardware that Shadow designed. The process involved Shadow working closely with Shell’s events production companies, from design to build stage to create dedicated exhibits that could survive the stresses of touring trade shows and race events over a 2 year period. 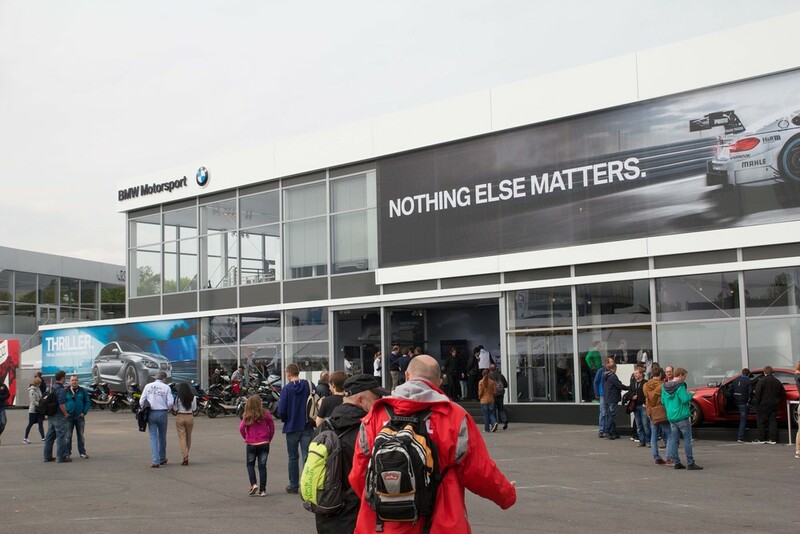 Helix VR launched at the BMW DTM event at Hockeheimring in Germany for the curtain raiser of the 2015 racing season. The exhibit has spent the last year on the road at events in Europe, South America, and Asia. 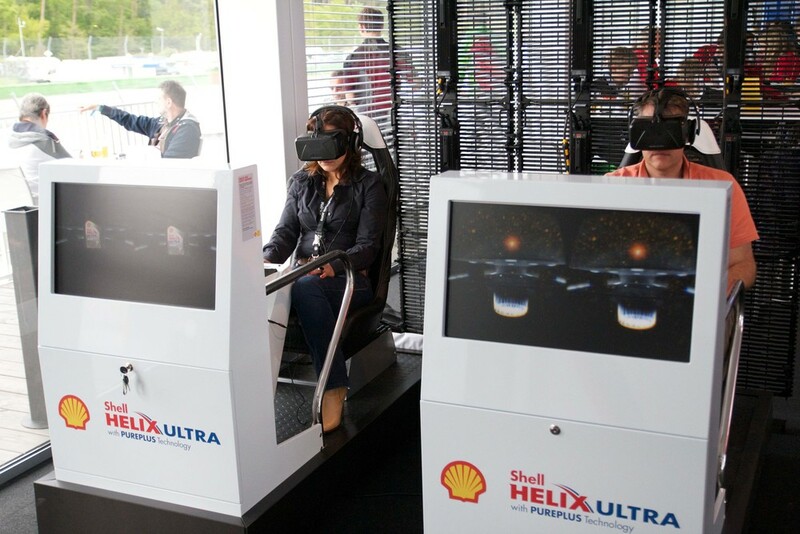 The success of Helix VR, caused Shell China to order their own set of chairs with integrated Chinese localisation for promotional events within the region, and for reception display at their main Asia headquarters in Shanghai. 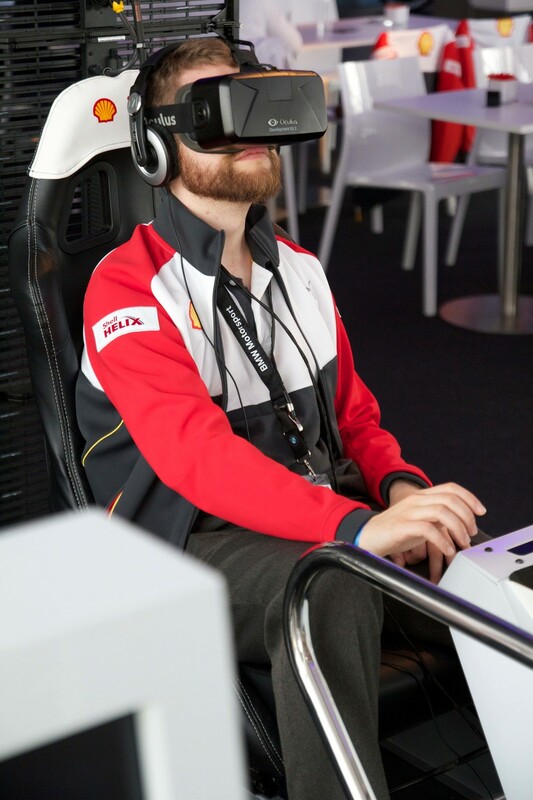 Above: Helix VR launch at the BMW paddock of DTM racing series, Hockenheimring Germany.